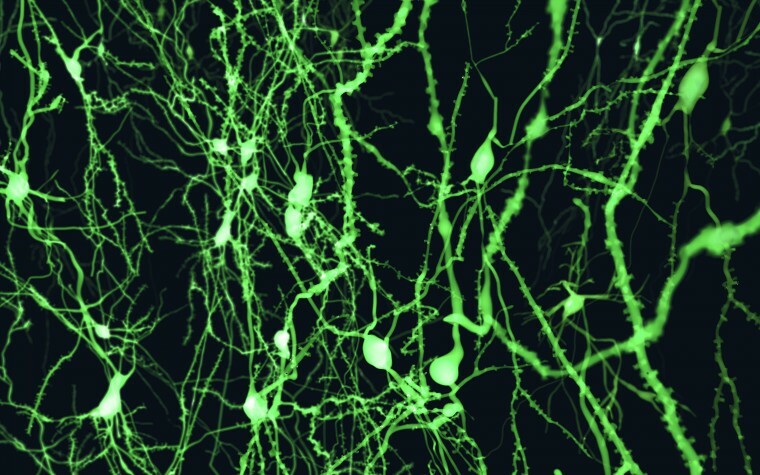 University of Texas Health Science Center researchers have identified physiologic changes in dopamine neurons in a key animal model of Parkinson’s known to display disease symptoms, the MitoPark mouse model. The dopamine changes in the mice, however, clearly came before any symptoms appeared — findings that may lead to earlier identification of Parkinson’s in people, and the start of disease treatments before irreparable damage is done. The research paper, “Dopaminergic Neurons Exhibit an Age-Dependent Decline in Electrophysiological Parameters in the MitoPark Mouse Model of Parkinson’s Disease,” was published in The Journal of Neuroscience. Physical symptoms in Parkinson’s disease (PD), such as tremors and motor and balance dysfunction, have long been linked to the loss of dopamine-producing (dopaminergic) neurons located in the substantia nigra (SN), a mid-brain structure, as the neurotransmitter dopamine is involved in motor control and coordination processes. As such, understanding the processes involved in neuronal damage before symptoms arise has been a key PD research focus, as therapies available today control symptoms but tend to lose their effect over time. Tremors typically begin when these mice are about 20 weeks old, so the scientists assessed functional status and dopamine neuron function at several points in time before then, namely at 6–10 weeks of age, at 11–15 weeks of age, and at 16-plus weeks. The team then constructed a timeline of functional decline, establishing three main changes: smaller dopamine neurons, reduced neuronal communication, and impaired neuronal electrical activity. Moreover, in older mice already displaying abnormal physical function, researchers observed heightened gene expression that increased the electrical activity in dopamine neurons. The team believes this is a late occurrence in the disease, a phase in which the cells are trying to compensate for an increasing failure of neuronal activity. “That’s probably how humans are able to be free of symptoms for so long when they have Parkinson’s, even though 30 percent or more of their dopamine neurons have died out,” Dr. Beckstead said. While the study is far from translating its findings into a clinical therapy, it represents an important research step into the roots of PD and, hopefully, treatments that focus on disease cause rather than on symptoms. Tagged dopaminergic neurons, MitoPark mouse model, Neuronal Dysfunction, Parkinson’s disease symptoms.